Eases and soothes those sore and tired muscles. Great for sports massage and male clients. Combined with our massage wax, in this blend are soothing lavender and eucalyptus which are well known for their pain relieving properties particularly muscular pain, and rheumatism. Peppermint and menthol are included for their strong cooling effect which conversely causes a warming reaction by the body and stimulates healing in the muscles. Finally, camphor calms any inflammation and eases pain. The anti-bacterial and anti-viral properties of this essential oil blend also make it a great way of protecting you from any bugs or viruses doing the rounds. Decongestants cleanse the air around you like getting a good lungful of fresh air on a bracing walk through the countryside. 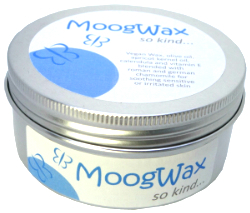 A great all-rounder of a wax - ladies and gents will love this one alike as it's not too girly. Use it on your sporty clients and they'll love you for it! 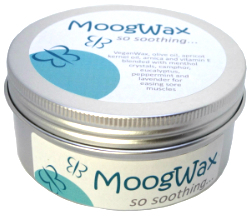 This wax is also one often used by reflexologists who love the way it gently melts and gives the perfect amount of friction for reflexology treatments. The essential oil blend includes peppermint which is usually a favourite of reflexologists.